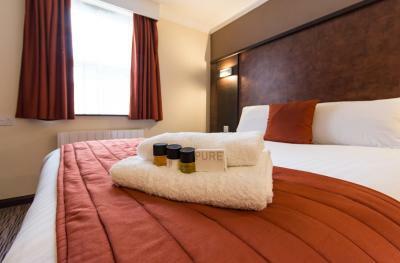 Lock in a great price for Dragonfly Hotel Colchester – rated 8.2 by recent guests! Really lovely welcoming staff and they did their very best to help us. We needed an early check in so we could get to a wedding and they sorted it out in minutes. Very good stayed here a couple times lovely hotel. Everything was first class for us & we will be staying with you again when visiting our daughter & family who live in Colchester . Staff excellent Beds - I had twenty years in the travel business, travelled widely and this was the most comfortable ever. The staff were extremely friendly, professional and helpful. 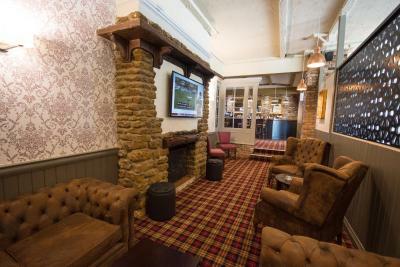 The bar and seating areas downstairs were nicely decorated. We were pleasantly surprised by what seemed to be a new property - it seems it has recently been renovated and, though there were few things still being worked on, this didn't negatively impact our experience at all. The room was clean and well equipped, the dining room and bar were open and inviting. The dinner menu satisfied myself (vegetarian) and my companion (who will eat almost anything). 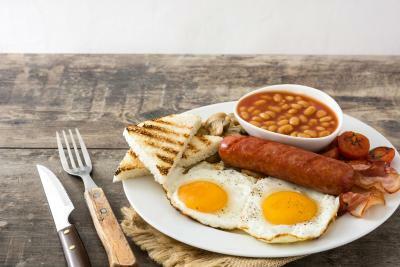 Complementary breakfast was the usual English and Continental combination with greater-than-usual variety. Very friendly staff and comfortable bed. Lovely hotel, good location. My room was quiet bright and peaceful. Spotlessly clean and well equipped. 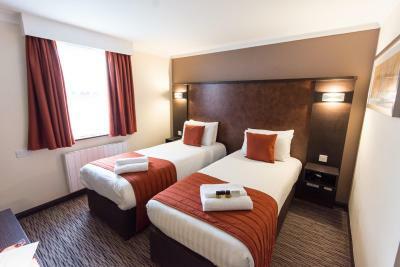 Dragonfly Hotel Colchester This rating is a reflection of how the property compares to the industry standard when it comes to price, facilities and services available. It's based on a self-evaluation by the property. Use this rating to help choose your stay! One of our best sellers in Colchester! This property is located a 10 minute drive from Colchester center, next to the A12 motorway. There is an on-site restaurant and free parking. Free high-speed WiFi is available throughout the property. 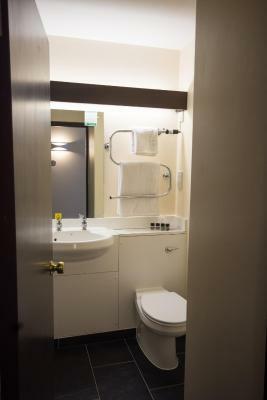 Each bedroom at the Dragonfly Hotel Colchester has an private bathroom. 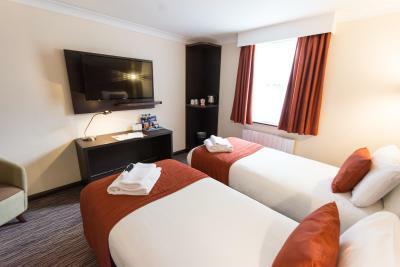 All rooms feature a 43-inch wall-mounted Phillips flat-screen TV with Freeview, Hypnos beds, USB charging ports, desks and arm chairs. Tea and coffee making facilities are offered, as well as a refreshment tray with purchasable snacks and drinks. There is a cozy bar and lounge area with ample seating, and a restaurant serving an all-day dining menu. 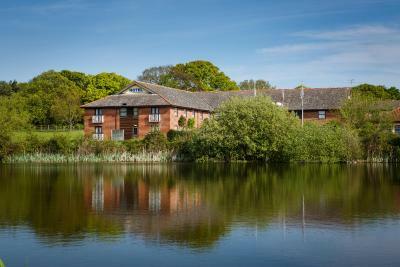 The Dragonfly Hotel Colchester is a 20-minute drive from the coast at Clacton-on-Sea. Colchester Zoo is a 15-minute drive away, and both Harwich and Ipswich are 25 minutes away by car. When would you like to stay at Dragonfly Hotel Colchester? 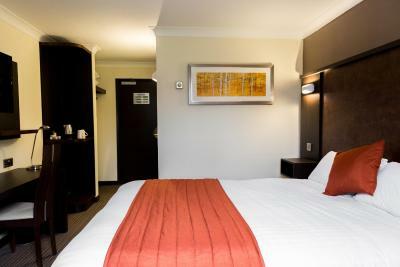 Our modern double bedrooms are decorated in stylish warm colors. 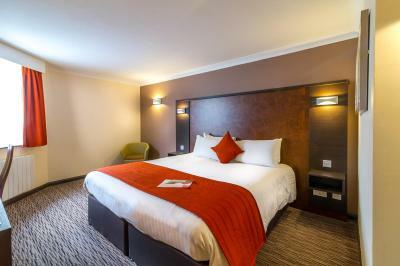 All rooms offer a flat-screen TV with Freeview channels and tea and coffee making facilities. The room has arm chairs and a desk with lamp and connection to complimentary high-speed WiFi. 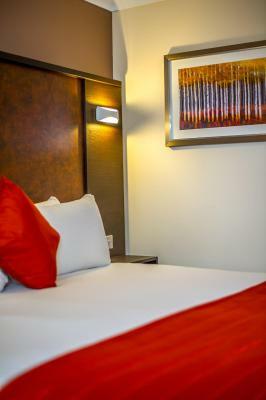 Our modern twin bedrooms are decorated in stylish warm colors. 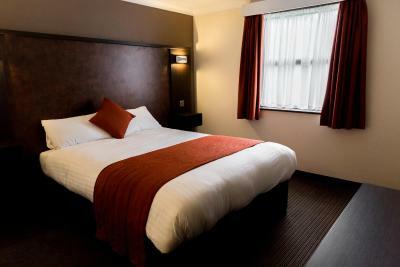 All rooms offer a flat-screen TV with Freeview channels and tea and coffee making facilities. The room has arm chairs and a desk with lamp and connection to complimentary high-speed WiFi. Our executive rooms are more spacious modern rooms with a sofa bed, and are decorated in stylish warm colors. 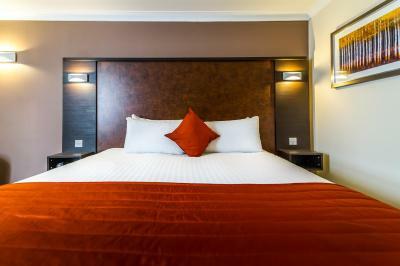 All rooms offer a flat-screen TV with Freeview channels and tea and coffee making facilities. The room has arm chairs and a desk with lamp and connection to complimentary high-speed WiFi. House Rules Dragonfly Hotel Colchester takes special requests – add in the next step! Dragonfly Hotel Colchester accepts these cards and reserves the right to temporarily hold an amount prior to arrival. I can't think of anything I would improve on. Fantastic value for money, beautiful view and super friendly/helpful staff. Poor lighting in room. Lack of drawer space to unpack..averse to living out of luggage!...get rid of snack table which far too expensive..hotel probably loses with products going beyond sell by date. ..restaurant menu not readily available. Pillows too firm for comfort or are pillow cases too small. Comfortable bed...good room size..satisfactory breakfast even though no chef on one morning. ..plenty of parking and in reasonably quiet surroundings close to main roads although hotel could do with better signage. The meat for the dinner was not warmed up enough. It would have tasted better if hotter. Nice room and location . Not enough staff only 2 on duty so waited to be checked in and long wait to be served at bar as staff disappeared in to the kitchen area. Also could hear other rooms activities which seemed to go on to the early hours! The room was very spacous anf clean. 3rd time we have stayed at The Dragonfly since September. Breakfast was good as usual as were the evening meals we had to. In our room, 224, the TV didn't work after asking reception for 2 remote controls. The lights next to the bed didn't work, the small lamp didn't work (worse seeing as it had a recent PAT cert) One socket worked whilst others didn't, the room was boiling hot, had to ask for a fan, shower didn't work at first and to top it off, we went out in the evening, came back to the hotel and were waiting to get back in for approx 5 minutes. In the end some other people staying at the hotel let us in. When I complained to the night staff, they assured me I would get a refund for my hassle but when it was mentioned to the staff in the morning it seemed that it couldn't be further from the truth. I was promised a call from the manager and am yet to receive it typically! The location is convenient and quiet. Noise of the fan in the bath room, toilet paper was bit cheap. No plug socket by the bed. The welcome pack was really good. The staff was ace. The food was good, even though i had wait longer they got my order wrong.